November 14, 1965, the Central Highlands of South Vietnam, 10:48 am. 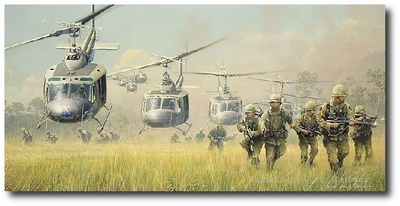 As the dry season's dust wafts skyward, the soldiers of the 7th Cavalry, 1st Battalion, 1st Cavalry Division (Airmobile), deploy from UH-1 Hueys of the 229th Assault Helicopter Battalion onto Landing Zone X-Ray in the Ia Drang Valley. Lt. Col. Hal Moore leads his men as they secure the area and prepare for the arrival of his main force, 450 soldiers strong. 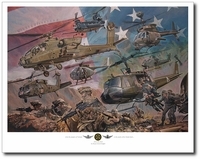 Before the day's end, the men of the 7th Cavalry would engage over 2,000 North Vietnamese Army Regulars in the battle that would epitomize the savagery of the Vietnam War and the bravery of the men who fought it. Lt. General Hal MOORE (Ret. ), author of "We Were Soldiers Once and Young!"